Product information "Jump scale SPW 500"
The high quality jump scale SPW has been specially developed for the measurement of pressures when jumping. 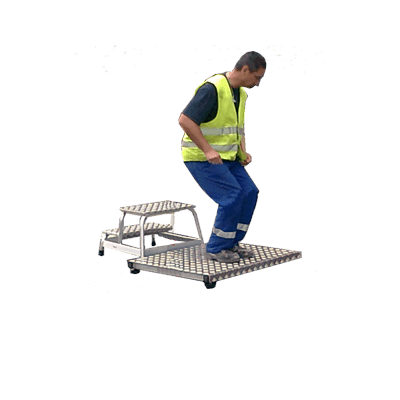 The jump scale is often used by the professional associations, because it visualizes the forces that act on the joints at a jump even from a small height. So the scale jump illustrate, how loads act on the body when jumping (eg the jump from the cab of a truck / van or a stair step). So it is visualized that, at a small height three to four times of the body weight acts on the joints. When you jump from one meter height, the forces are about six times as high as in normal walking. Practical use "stumbling obstacle course " : The Jump scale illustrates the loads acting on the landing after a jump on the joints. "What one expects of all his body," the astonished reaction of a safety expert, as after a careful jump from about 40 cm height was a weight of 300 kg was emblazoned on the display. This complete weighing-component system consists of a 80x60cm large platform and a well-readable display with PEAK function (hold the peak value). 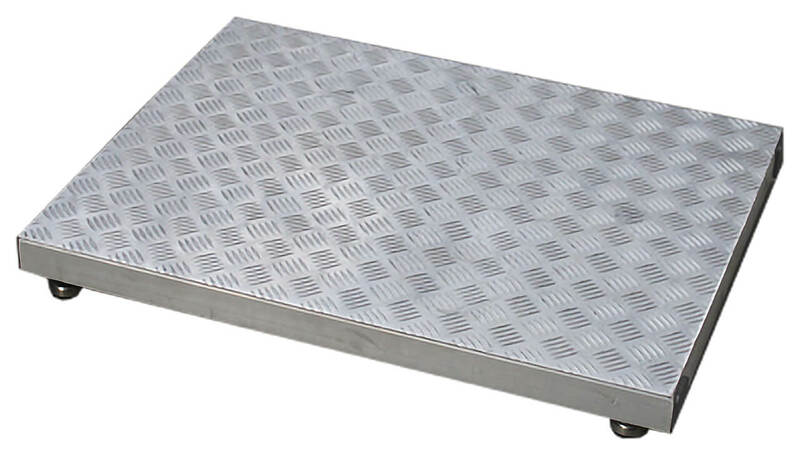 The lightweight weighing platform is made ​​of aluminum. The low weight (15 kg) and the rechargeable battery guarantee high mobility. 4 high quality strain gauge load cells are used as sensors. The scale platform is connected with the indicator by a 3 m long cable. Platform size: 800 x 600 mm. A platform size made ​​to customer specifications is also possible. Capacity: 500 kg as standard. Special scales with a different weighing range are available on request. The platform scale is supplied as standard for mains and battery operation (AC charger included).The battery operation of the platform scale makes operation on virtually any location possible. An optional RS 232 interface allows a bi-directional data transfer of the weight data to a PC. Related links to "Jump scale SPW 500"